Get your Sombrero out now to enjoy our clean, crisp red neck tequila. Featuring aromas filled with pepper, mint and citrus. The flavour is touched with grassy notes and a slight hint of spice. A great mixer for any of your favorite tequila cocktails and also makes a fantastic Margarita. 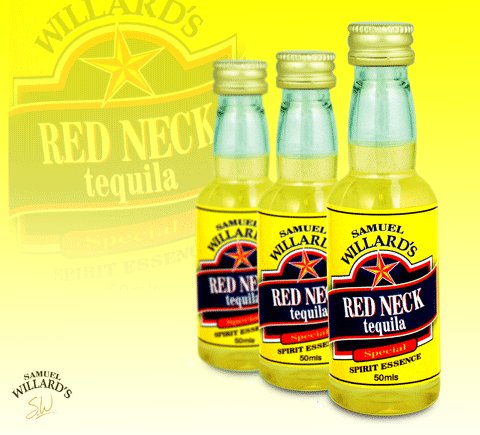 Samuel Willard’s Red Neck Tequila essence produces 2250mL of spirit from each 50mL bottle.